Solution to the never-ending problem of students dropping out every year jointly lies with the students and the institutions itself. Where students are ought to invest the required efforts, higher education institutions also have a responsibility to ensure that the students who enroll for a degree course with the college end up succeeding at them. No institution would want to end up in a partnership with a student who for any reason drops out in between; their potential revenue takes a beating. The biggest roadblock in achieving this target is the dismal student engagement rates among the colleges! But, how student engagement leads to successful completion of the course? To understand this, we need to look at what student engagement is all about? Well, student engagement is achieved when a student participates in most of the campus activities; takes a proactive interest in the learning process, responds to the idea of congenial existence with the fellow students, participates in co-curricular activities apart from academics, and feels motivated to contribute positively in the campus. Students, by nature, aren’t engaged! They need to be engaged by the colleges. Making Student Engagement A Reality! The millennial generation grew up with iPad in one hand and smartphone in another. The analogy states that this generation is very comfortable with technology; the share of Americans who own Smartphones is 77% in 2018, up from just 35% in 2011. When you equate these numbers with the age of people who actively use smartphones than broadband at home, the inference is: ‘Mobile’ is the most engaging medium for our generation. Millennials communicate, commute, socialize, learn, order food, entertain themselves, and consume content through their mobile devices. 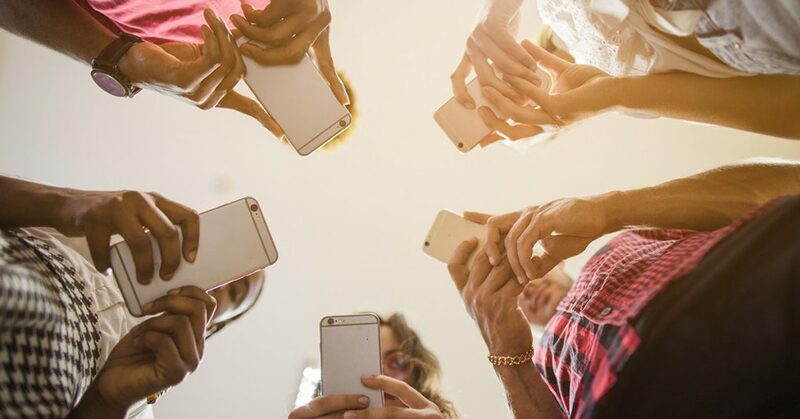 It makes a lot of business sense for universities to adopt a mobile-first strategy to engage students (who represent a typical millennial) in real-time, who use mobile as a way of life. For a minute, let’s visualize a scenario – As soon as a new student enters the college premises, he gets a personalized “welcome” message with a guided tour of the campus on his smartphone, he receives the agenda for the day, his attendance is marked, his induction is taken care of, the schedule of his lectures are delivered, all the communication from the faculty is directly sent to his smartphone, etc., through university app. Isn’t that great? Well, at Unifyed we exactly give you that. The same mobile app guides the student when the deadline of their tuition fee draws closer; they get constant reminders about the approaching deadline, the payment options, and financing possibilities including financial help that he might be able to harness. The possibilities with Unifyed are endless. You can push very personalized messages/content from the university app to the students, which makes the whole experience more immersive and engaging for them. Isn’t that exciting? Do only students benefit from the university app/portal Unifyed provides, or faculty members along with the administration personnel have a stake in it? Well, everybody is benefited from the Unifyed mobile experience. Faculty members can easily track the performance of the students, their grades and eventually, send personalized guidance to the students as well as the administration personnel, who can take care of the campus policing, security, food, canteen, and lot more. It’s a holistic experience, where everybody actively participates towards the success of the students and the college as a whole. We hope the above example brought home the point—why there is a need for student engagement, and how it is achieved through technology and mobile devices? Where the world of technology has over taken almost every business sector, it is imperative to understand the role of technological advancements in the education sector as well. Millennials are born with technology in their hands and expecting them to stay put in the four walls of a traditional classroom is not appreciated. 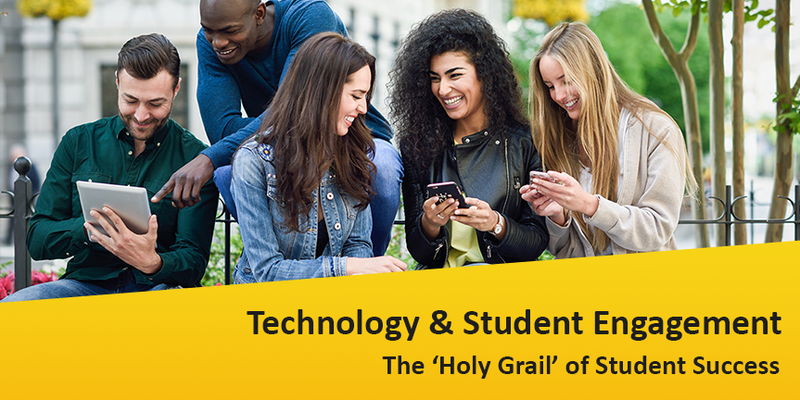 To keep students engaged and lower down the everyday rising student dropout rates, an institution must take a note of the requirements of the students of this generation and to be true, technology is the key to success. How can we help your institution today? Annie Hugh is currently serving as a Senior Vice President at Unifyed. With more than 14 years of rich industry experience, she has gained expertise in diverse marketing and customer success & sales space, inclusive of leading varied areas like P&L responsibility, management of all post-sale customer activities, and customer relationship building among others. Hugh is passionate towards delivering value and leveraging customer feedback to grow more and retain the existing customers, eventually striving to build lasting relationships. She is known for balancing the wheel and enjoying life as much as she works towards it.